I love to make bread!! Definitely knead this book!!! This bread sounds delicious. I love oatmeal bread. I am thinking I would maybe add a touch of cranberry sauce to the turkey sandwich. I am definitely a bread eater. I like trying ner bread and roll recipes. It is definitely my staff of life!! I have never made bread. This looks so easy to make and it looks very yummy. I like that the recipe makes 2 loaves… One for our family and one to give to our neighbor when he snow blows our driveway. It will be such a nice treat to have a loaf of fresh warm bread when he is done! I would love to win this book! I love bread! My favorite right now is a cinnamon chip bread! 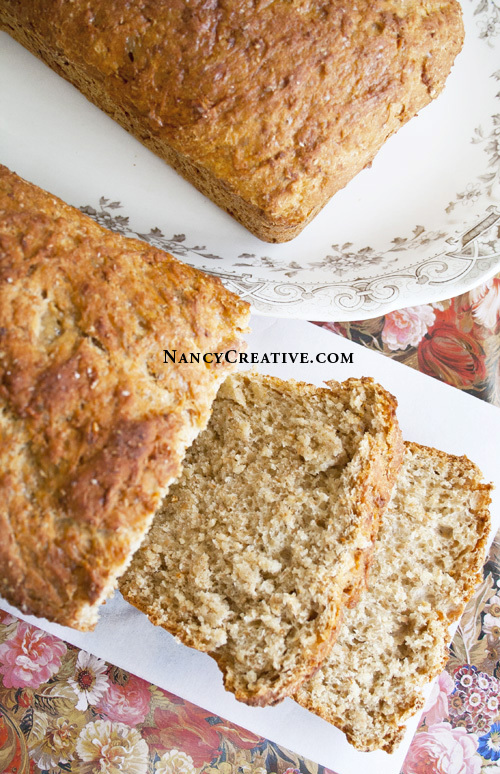 My husband taught me the first time to make sweet malty homemade sunflower wheat oats bread and now I am totally hooked! Winning this book will give me something to teach my husband about bread too! This definitely looks worth trying. I am certainly a novice but since I’m retired now, I hope to become a ‘breadmaster’ Well really I just want to make successful homemade breads. lol. I follow you via email and I look forward to each one! Mmmmm who can resist a nice slice of yummy bread! Love getting your emails and have tried several of the recipes you feature, all with great results! This bread looks great. I love making bread but I haven’t tried this particular method. I am an email subscriber. Thanks for offering the chance to win. Ive always been a little intimidated by traditional bread making and bake more of cakey breads. 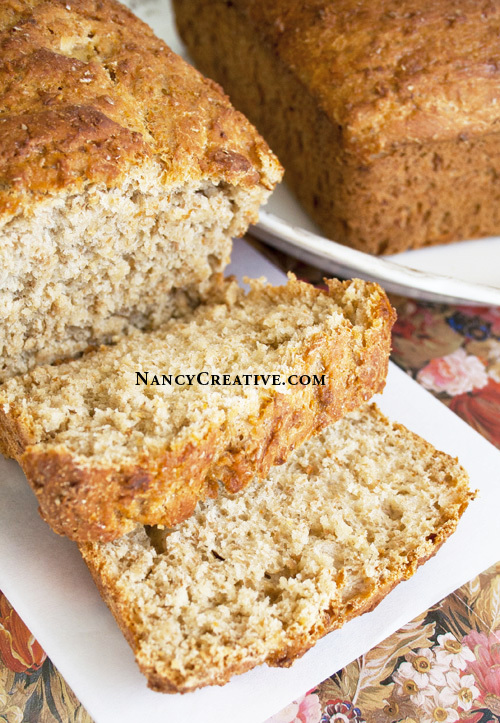 my all time favorite is martha stewarts banana bread recipe…..simple and delicious (i add chic chips). I am late to the artisian bread book but already fell in love at first sight. would love to have one, thanks so much for the chance! Thank you so much for this recipe. Just what I needed to do on a rainy day to add with my chili!! This recipe sounds so good! I can’t wait to try it and share it! Would love to get this book. Baking bread is such a treat, especially when it is easy 😀 Consider this my entry to win! Looks like a great recipe, Nancy….as usual. I made bread years ago and they never turned out right. Would love to restart bread making and this book looks like an ideal way to start up again. This recipe looked very interesting and am going to give it a try! This cookbook is the best!! So easy to follow recipes! I enjoy making various things from this book but especially the cinnamon rolls. i love home made bread and make it all the time. Wow, Nancy, this bread looks so good. I love the idea of using maple syrup instead of sugar. That cookbook looks fantastic too. I love homemade bread. I may have to go out and get a copy! Would really love to own this book and always enjoy your blog! I do follow your blog, and have for a long time – better than a year, I believe! I like the hominess of your blog and you are fun to follow. Changing subjects, I have made artisan bread once in my life but now that I have recently retired maybe I can give it another try. Yes, it’s a great bread for fall! You have been doing a lot of moving–I know it will feel great when you get all settled in your new place! 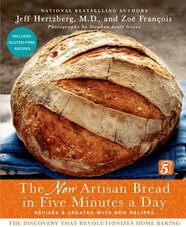 I keep hearing about this book and all the wonderful breads that are being created. Thanks for sharing this recipe…your bread looks terrific.